1930 Year Date Japan Maximum Card | VintagePostcards.com: vintage, old, antique postcards for collectors. 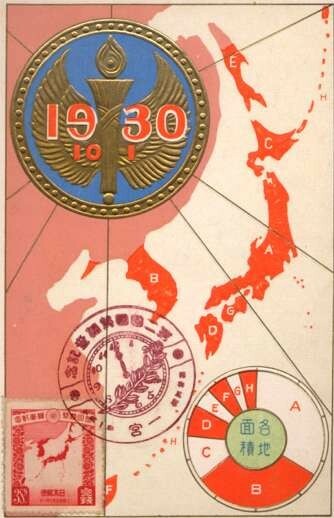 Map of Japanese empire, with corresponding stamp and cancellation. Embossed.